Sands Alive! Is unique sand, It is really easy to mould into any shape and is ideal for children of all ages. 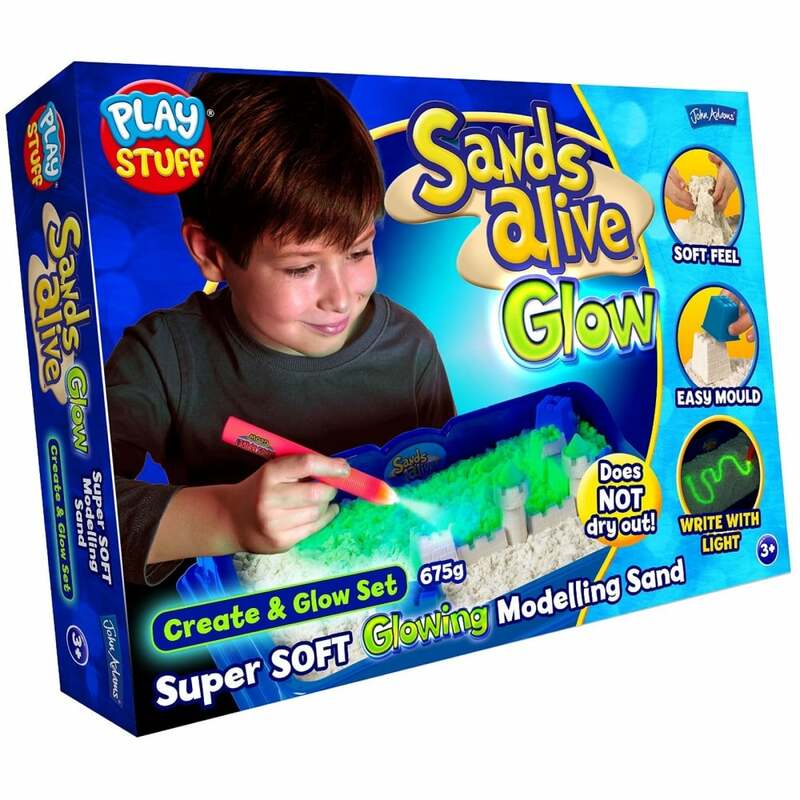 The sand is made out of all-natural material and does not stain, enjoy yourself by making 3D shapes with the moulds included. Write with the UV penlight directly on the sand or highlight specific areas and let your imagination run wild! Sands Alive does not dry out! Brought for my nephew for Christmas and he hasn't stop playing with it.